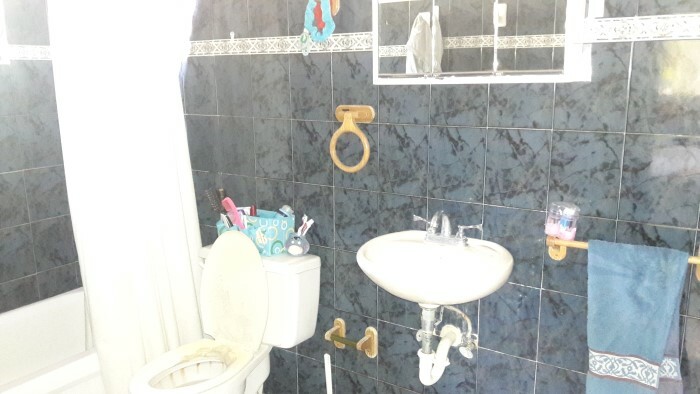 This apartment is located in a small condo complex with a nice tropical garden and pool. 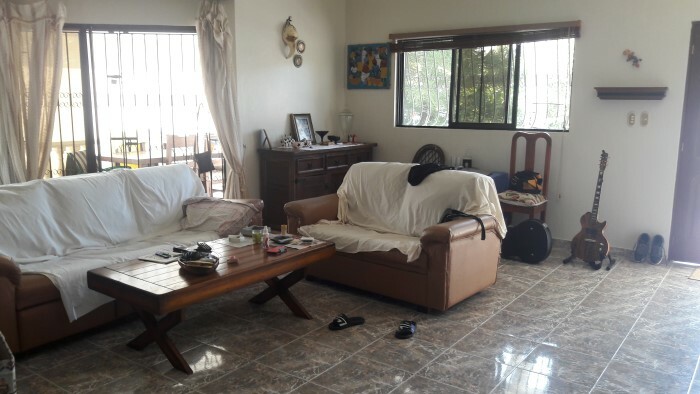 The apartment has very big spaces, you enter in the apartment into a large living area with two sofa with coffee table, a flat TV with furniture and on the right side there is the open solid wood kitchen with a double door refrigerator and a stove with oven. 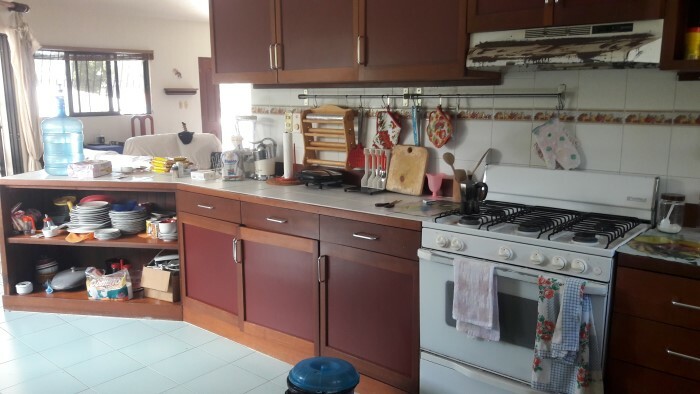 Outside the kitchen there is a terrace with a wood dining table fitting six persons. 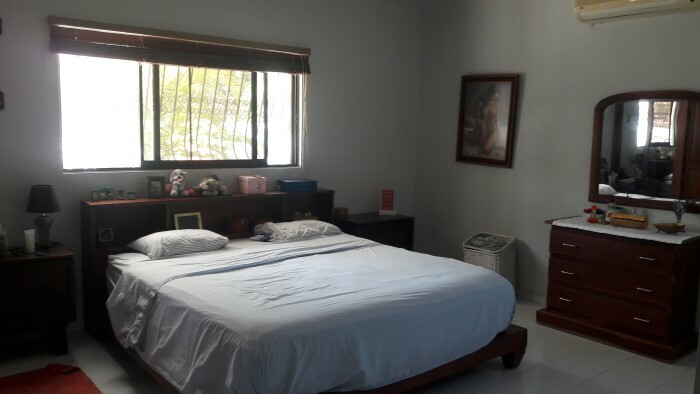 From the living area you will access to the 3 bedrooms, one on the left side and two on the right side, the master bedroom with private bathroom and the others sharing a bathroom. 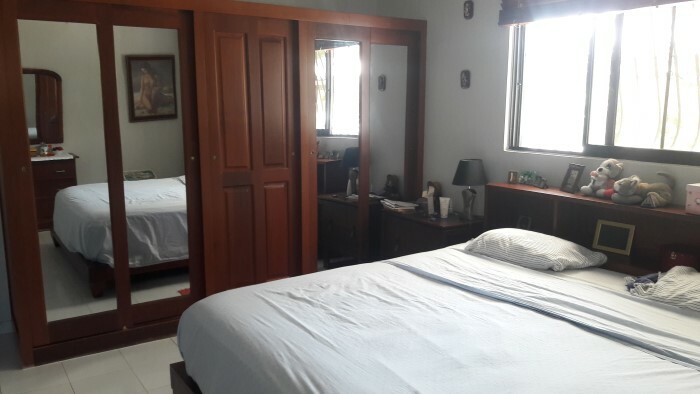 The master bedroom has a king size solid wood bed, a large solid wood closet with mirrors doors and a drawer matching the design and the wood of the bed and the closet. 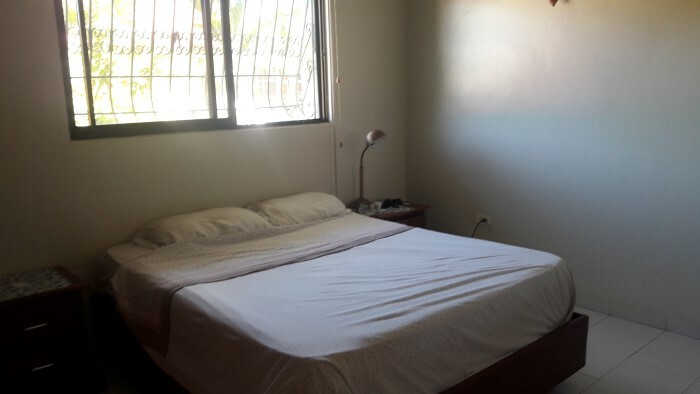 The second bedroom has a solid wood queen size bed, a drawer and an open closet. 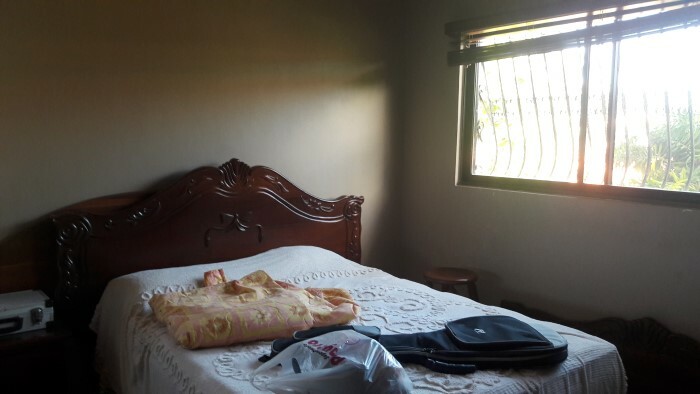 The third bedroom has a queen size solid wood bed, a drower and a large solid wood closet. 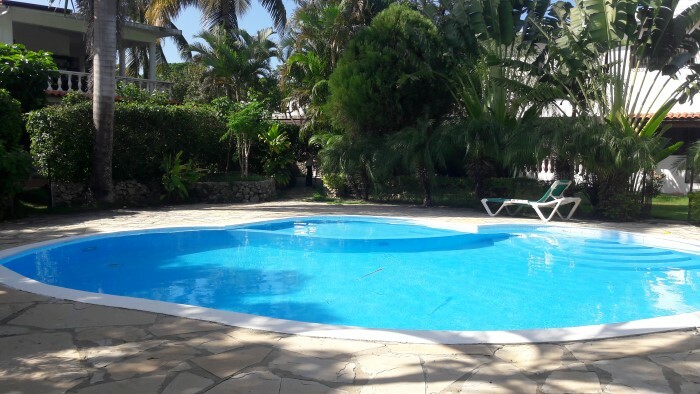 The apartment is located on the first floor overlooking the tropical garden and the pool. 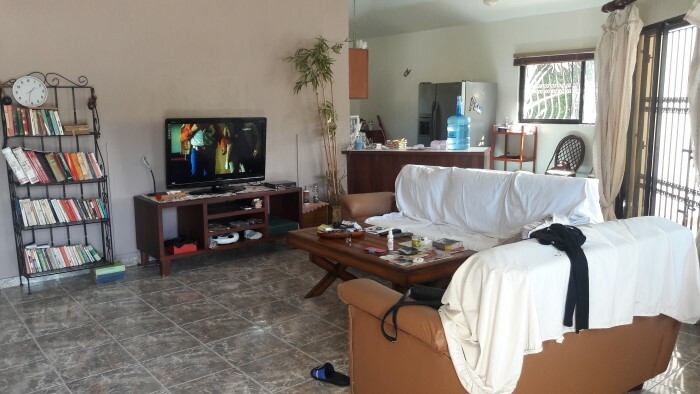 This complex is located very close to a small beach and the neighborhood take the name from that its called Playa Chiquita neighborhood. 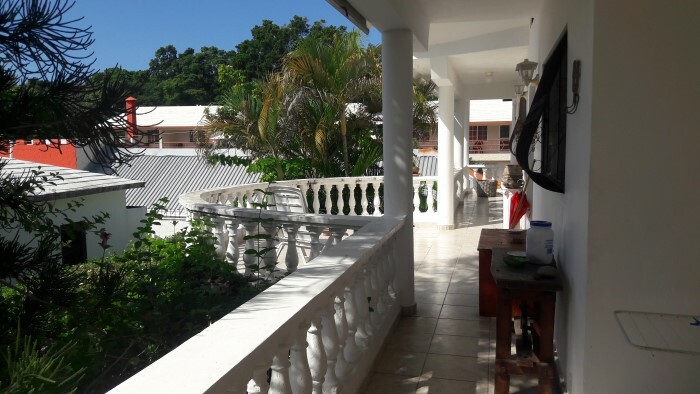 This is a great opportunity to purchase a 3 bedroom apartment in Sosua on the North Coast of the Dominican Republic. If you are buying for investment and not intending to be a full time owner our real estate company will be there to rent out your apartment for you on a short or long term basis. The International Puerto Plata airport with cheap direct flight from Europe and USA is only a ten minute drive away and in the opposite direction at the same distance there is Cabarete, world famous for its kite beach, water sports, pretty boutiques and exciting night life. Cabarete is the Adventure Capital of the Caribbean and although many people come to the tropics to relax on the beach and get a tan, Cabarete is also the ideal place for action-sports and adventure as surfing, windsurfing and kite surfing. 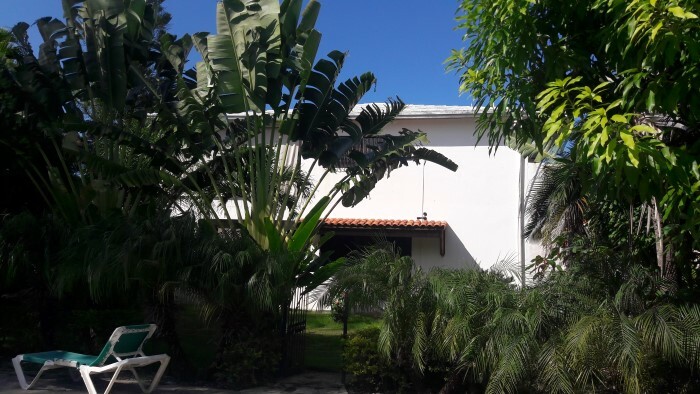 A lot of people are turning to the north coast in Cabarete or Sosua every year on holiday or looking for real estate investments and with the recent cruise ship terminal in Puerto Plata more investors are now looking here as the place to invest. You can find the spectacular 18 hole par 72 courses located to the East of Sosua at Playa Grande and to the West of Sosua at Playa Dorada. If health service is a concern for you, you have nothing to worry about. Our region provides excellent services with private medical facilities and specialized doctors. Sosua also provides academic institutions, such as 3 bilingual International School. 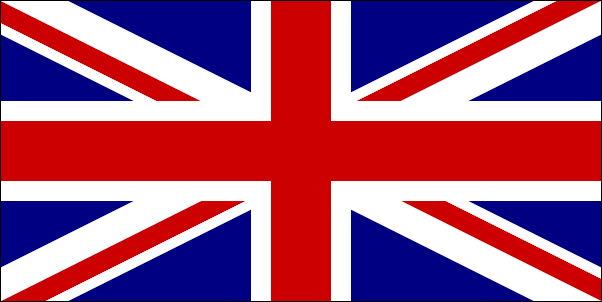 Communications are also first rate, with telephone, Internet and mobile phone providers. 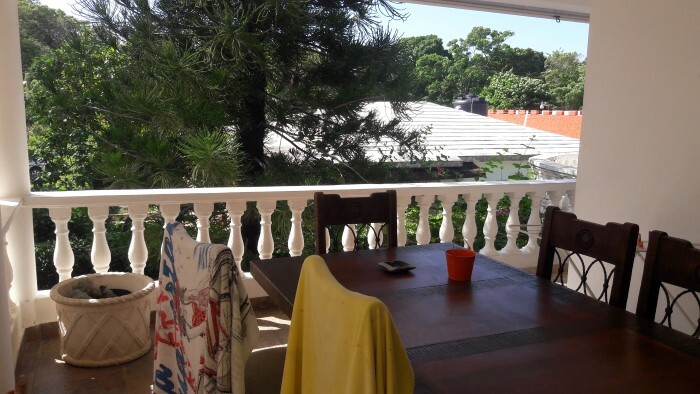 For more information about this or other real estate property in the Dominican Republic or to know more about real estate in Dominican Republic, please complete the Request Box and an agent will answer you soon.